Perhaps you’ve noticed that you don’t have your usual energy, or that you are getting more colds than you once did. 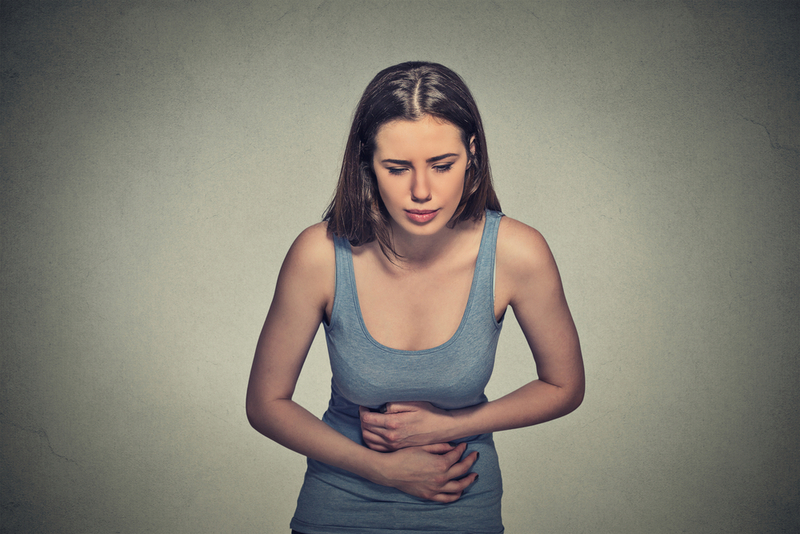 Is indigestion becoming a common problem, and what about bloating? Have you recently become allergic to foods you’ve enjoyed your entire life — corn, wheat, milk, or eggs, for example? You should be concerned! It may all be caused by a common problem called “leaky gut syndrome,” and left untreated it can contribute to serious autoimmune disorders. What is leaky gut syndrome? How do I know I’ve got it? Leaky gut occurs when tight junctions in the small intestine, which control what passes into the blood stream, are not functioning properly. Microbes, toxins, and undigested food particles may elicit an immune response. Leaky gut often occurs with Crohn’s or celiac disease, but it also occurs in others who do not have these diseases. Gluten is thought to be the most common cause of leaky gut syndrome, and wheat is ubiquitous! However, excessive refined sugar and heavy alcohol consumption also predispose an individual to the disorder. Chronic stress, overuse of antacids, antibiotics, NSAIDs, and steroids may trigger small intestine bacterial overgrowth (SIBO) and lead to leaky gut. Pesticides, BPA, and mercury are also known to play a role in some sufferers. You have food allergies, seasonal allergies, or asthma. You were diagnosed with lupus or rheumatoid arthritis. You are depressed, anxious, or you’ve begun to experience brain fog. You have severe acne or eczema. You have celiac disease or other signs of gluten sensitivity. You experienced a protracted bout of IBS, bloating, or diarrhea. What can be done to reverse this condition, and can it be prevented from returning? Eat a diet that restricts fermentable carbohydrates (like the FODMAP protocol) if you have been clinically diagnosed with IBS or similar problems. You will want to determine what foods you react to through an elimination diet, and then follow a nutrient dense, whole-foods plan until your small intestine issues are fully resolved. Consider the Paleo diet. Eat healing foods like bone broth. Eat carotene- and vitamin-A-rich foods. Build a healthy balance of intestinal flora. Consider adding small amounts of daily fermented veggies to your diet, like lacto-fermented sauerkraut or kimchi, and sip on beet kvass or plain kefir. In the short term, add a broad-spectrum probiotic to your daily regimen (aim for 100 billion CFUs). Exercise to eliminate stress, but don’t do marathon training. Better would be resistance training or HIIT, which provide all the benefits of vigorous exercise while keeping stress under control. Examine the role of medications in your leaky gut problems and consult with your physician about switching medications. Avoid environment triggers like BPA and mercury. If you are sleeping less than seven hours each night, you need more sleep. You are increasing your systemic inflammation by sleeping too little. Consider healing supplements, especially the amino acid L-glutamine, which works wonders for soft tissue healing. Leaky gut syndrome is a serious condition and can lead to chronic disease and autoimmune disorders. However, with the right approach and persistence, it can be conquered, and your health can be better than ever.